Sphinx and the Cursed Mummy is ranked in the 24th percentile of games scored on OpenCritic. Sphinx is doing that action-platformer simple-puzzles thing of a lot of the games from this original era. He runs, jumps, swings a sword, gets a bunch of items, all that jazz. Meanwhile, the Mummy(of a young prince Tutankhamen, to be precise), being already dead, has this Wario Land style going on. He can face everything from electrocutuion to crushing, and endure all of it as it puts him into crazy specific states for more complicated puzzles. It's an interesting mix of setups, that keeps either one from overstaying its welcome too badly. Just when you tire of figuring out a complex puzzle for the Mummy, you get to switch back to Sphinx and do something more straightforward and punchy, and vice versa. 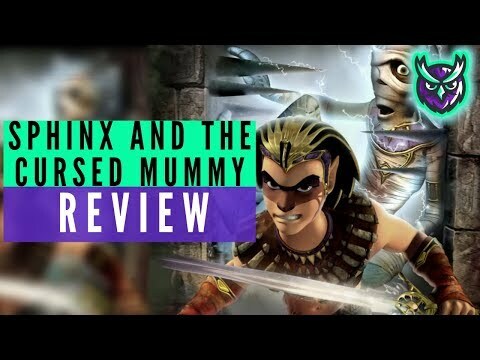 While its platforming mechanics are still a tad unpredictable at times – and the huge gaps between save points still rankle – Sphinx and the Cursed Mummy's quality nonetheless shines through. Weaving melee combat, environmental puzzles and plenty of platforms with a fun and interesting take on Egyptian mythology, it's an action-platformer that really holds up well, despite the years on its clock. Its camera might still be a bit rubbish, but with a new lick of HD paint, this is a hidden gem that deserves a little time in the limelight. Sphinx and the Cursed Mummy brings forth a gameplay that features combat and puzzle-solving in an Ancient Egypt background and with lots of humor all around, especially from a protagonist who's supposed to be dead. As an example of a good port from a previous generation, Sphinx and the Cursed Mummy is an enjoyable experience that can easily find its place with nearly everyone. Sphinx has aged relatively well. This is the perfect way to introduce newcomers to the game, even if it’s a series that didn’t take off. All this said though there is a decent romp buried (no pun intended) within the confines of this experience. Sure it isn’t going to go down in history as a great platformer, but I thoroughly enjoyed revisiting it. It puts an interesting game-ified twist on Egyptian mythology and shows how far influence can take a project, as there are multiple prominent moments where the game is clearly trying to emulate the feel and pacing of a Zelda title. 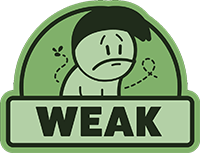 But in a time where remasters and remakes are a dime a dozen, THQ Nordic may want to put a little more effort into their IPs next time around. Sphinx and the Cursed Mummy is still a good action-adventure game, although some of its core elements have not aged well. Sphinx and the Cursed Mummy is a very good game that was overlooked by many the first time it popped up over a decade ago. While it may not be of the same quality as the greats of its era, this is a solid and enjoyable title. The puzzle sections are by far the highlight, but the exploration and Zelda-style progression are all good enough to keep the players coming back. Many, many players who have fond memories of the generation missed out on this one, and its resurrection here gives them a chance to experience something new yet nostalgic. Instead of a new game trying to capture the feel of an era, this is a lost relic, a chance to experience a "new" action-platformer from the past. Sphinx and the Cursed Mummy is a surprising title to see remastered but it is a welcome surprise. Its strong 3D puzzle platforming and sense of nostalgia will endear it to a niche audience. Remnants of old game designs may frustrate those looking for a modern experience. Poor keyboard controls are hopefully only a temporary flaw in this otherwise good quality port. Sphinx and the Cursed Mummy is a diamond in the rough. It is very enjoyable in some aspects, but has not aged well in others. Remastering the game further to correct some issues with the game would have went a far way into making this a better experience. Its aesthetic may still carry some charm, but next to the likes of Super Mario Odyssey, or even the remakes of Crash and Spyro, it just doesn’t hold up. Who knows, maybe Sphinx and the Cursed Mummy would have been more attractive in this day and age if it exuded more…Pharoahmones.